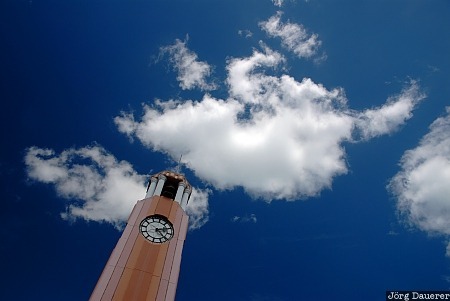 The landmark Gisborne Clock Tower in front of a blue sky with few white clouds, Gisborne, New Zealand. This photo was taken in the afternoon of a sunny day in early November of 2008. This photo is part of the exhibition Towers (February 2011). This photo was taken with a digital camera.